This weeks’ news for defense contractors included another set-back for Southern California with the announced Boeing voluntary reduction of 250 jobs at the facilities in El Segundo, Torrance, Seal Beach and Huntington Beach. This was a pre-emptive program to avoid involuntary layoffs similar to those recently carried out at both Raytheon and Northrop Grumman. Unlike the cut-backs at Raytheon and Northrop Grumman, the voluntary reduction to the 5,500 employee workforce is not due to decreased military spending by the Pentagon. Rather the staff reduction is due to Boeing developing a standardized approach to its satellite design and manufacturing. Boeing is no longer crafting a single, unique satellite for each order but is implementing a design re-use concept with more modular sub-systems. This approach means that less personal is needed to produce more satellites. Boeing also announced that they have a backlog of 29 non-classified satellites due for delivery over the next 5 years. 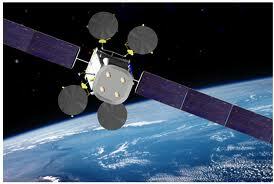 They have also expanded their client base from the government and military to also include commercial satellites. It’s anticipated that Boeing will continue to receive orders to produce at least 5 to 10 satellites annually, especially as the existing deployment continues to age and can no longer support the higher bandwith demands.